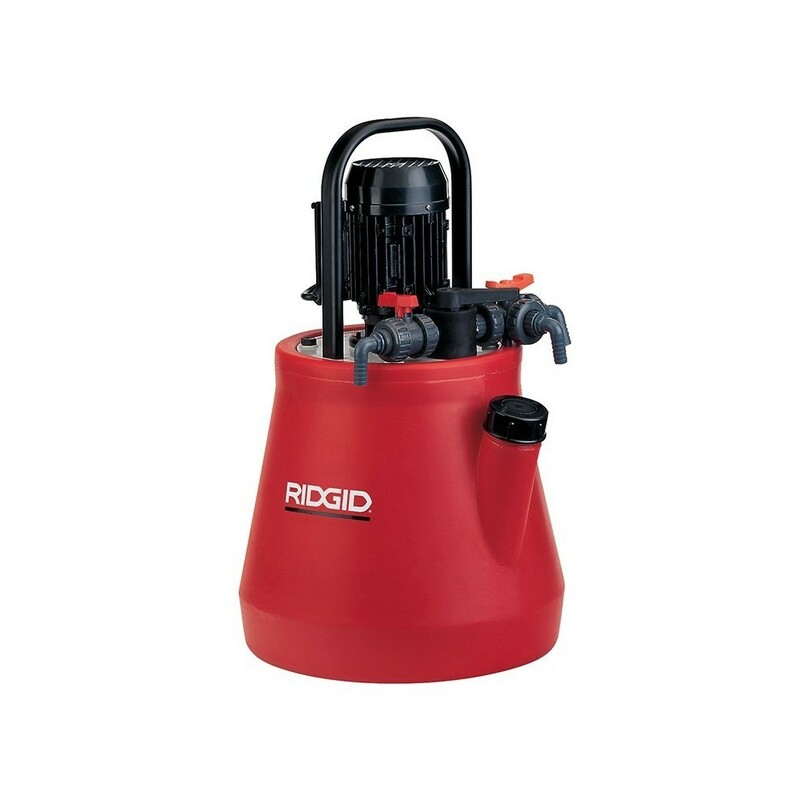 RIDGID Model DP-24 Descaling Pump (0,45 HP, 330 W, 230 V). For descaling and restoring installations. • Cleans any closed circuit system efficiently. • High performance flow reversal valve allows scale to be removed from both sides. • Ideal for descaling boilers, heat exchangers and closed heating systems. • Scaling inside of a closed circuit dramatically reduces flow capacity. Two pumps are available to meet your maintenance needs. • Both pumps feature a vertical axis for a higher and more powerful flow.